A cleaner stock picture of the bag than I could offer! The bag is available in different user sizes, so be sure to choose the one that fits you best. Within each size there are still plenty of adjustments that can be made. The bag itself is cavernous, with a sturdy outer pouch suitable for keeping crampons in, with a top box that will take enough food and spare layers for a long day out in the hills. I have had a couple of incidents with the bag: in Chicago en route to Alaska I popped one strap into the wrong fastener and it got stuck. A lot of brute force, a spare clip and good use of a sewing kit got the bag back to full operational use. It was my fault for trying to clip things where they didn’t belong; I was just trying to reduce the number of freely flowing straps when it was empty. Another issue I’ve had is with the upper chest straps. They are designed to be adjustable in height, but they quite easily wriggle themselves lose from the shoulder straps where they connect. To remedy this I have used insulating tape to hold the, to the webbing on the shoulder straps, which has fixed the issue. One final note about this bag: last year I fell into a crevasse when leading a rope team off a mountain. This bag wedged me near the top of the crevasse. Without it I would have fallen much further before the rope team could have arrested my fall! Hope this review helps someone make an informed decision before buying the bag. 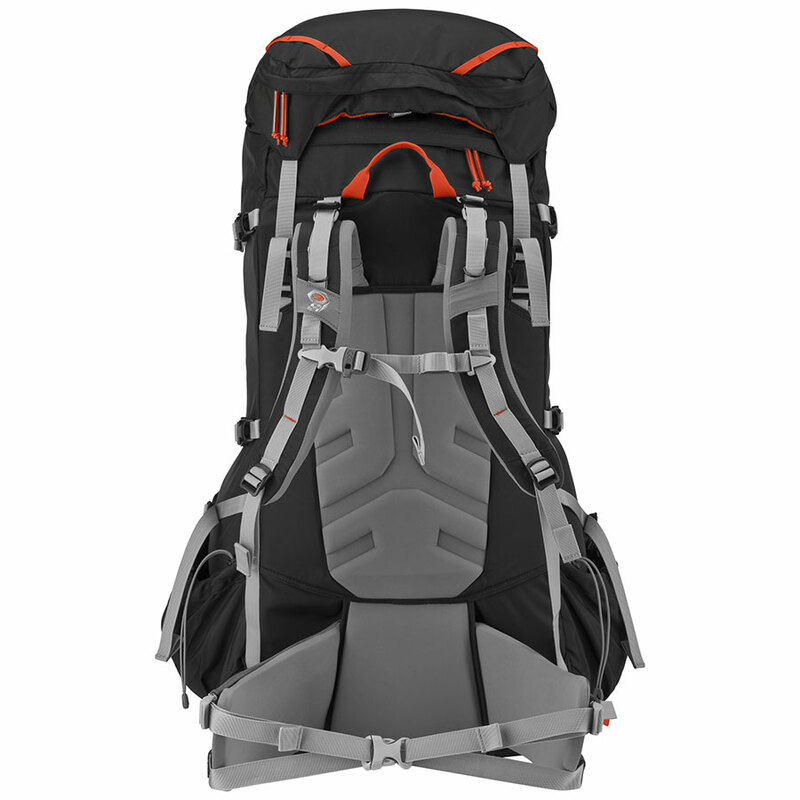 I think it’s a good investment and a top notch bag for big expeditions like Denali, Aconcagua and in the Himalaya where you may be required to carry large amounts of gear.